Alexa Gray, a young conservation champion and daughter of African Wildlife Foundation Trustee (AWF) Donald Gray, was today among 23 international personalities who named baby gorillas at the 14th Kwita Izina ceremony in Kinigi, northern Rwanda. Alexa named the thirteen-month-old baby gorilla Kunesha, Kinyarwanda for “to win,” on behalf of the Gordon and Patricia Gray Animal Welfare Foundation which supports AWF conservation efforts in Africa. “I am excited to be part of the global community working to protect mountain gorillas for posterity. AWF recognizes Rwanda as a conservation leader on the continent and is proud to be partnering with the Rwanda Development Board,” said Alexa, who is a fifth-year veterinary medicine student at Glasgow University, UK. Kwita Izina is inspired by the Rwandan tradition of naming gorilla babies soon after they are born and celebrates the Rwanda Government’s commitment to conservation – which has seen mountain gorilla numbers in the Virunga Massif rise to 1004, according to the latest census. Community benefits from conservation have grown tenfold, with the government allocating 10% of park revenues to communities, one of the largest shares on the continent. Other namers included former Nigeria President Olusegun Obasanjo; Grace Marcel, widow of former South African President Nelson Mandela; former Arsenal football star Lauren; Michael O’Brien-Onyeka, Senior Vice President – Africa Field Division at Conservation International and US Ambassador to Rwanda Peter H. Vrooman. The function was presided over by Prime Minister Edourdo Ngirinte and Rwanda Development Board CEO Claire Akamanzi. During the function, Rwanda Development Board (RDB) announced plans to double tourism revenue to $USD800 million in five years. Mountain gorillas are listed as critically endangered by the International Union for Conservation of Nature (IUCN) and are only found in the Virunga Massif and in Bwindi Impenetrable National Park (Uganda). They represent one of the four species of great apes that live in Africa and are the only great ape increasing in population. On January 10, 2018, AWF donated 27.8 hectares to help expand Volcanoes National Park, the oldest in Africa. This was the first time in over three decades the Park was expanded. Established in 1925, the park is home to mountain gorillas, the world’s most endangered ape, and is situated in the north of Rwanda bordering the Democratic Republic of Congo and Uganda. 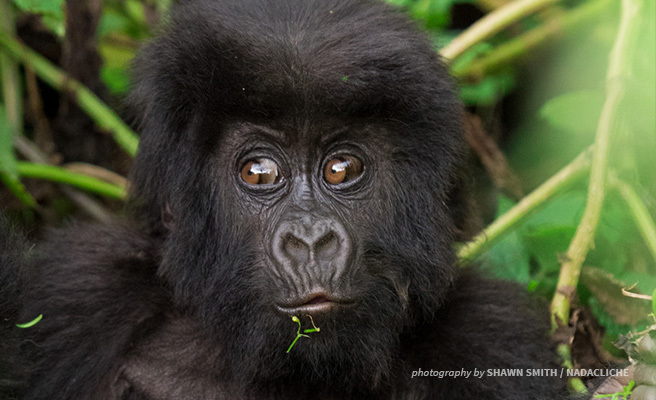 AWF has worked in Rwanda for close to 4 decades starting with the Mountain Gorilla Project, and was in 1991 a founding member of the International Gorilla Conservation Program (IGCP). AWF pioneered community-ownership of high-end ecotourism lodges in Rwanda through the creation of Sabyinyo Silverback Lodge, which is managed by Governors’ Camp. Since opening in 2007, the lodge has generated over US$3 million for the community.